While I have greatly enjoyed the resumption of courses for the most part, I have been slightly bothered by one observation: Many of my classmates do not seem to be nearly as excited as me to be there. Without wanting to sound too preachy, I was raised to view education as a unique privilege – one that I probably would not have if I had been born in a different geographic location or at another time in history. Thus, I find it incredibly frustrating when I see people sitting in front of me perusing Facebook in the middle of a lecture. Perhaps even more frustrating (or humorous, depending on how you look at it) are the students who so-stealthily text in the middle of class by ingeniously hiding their hands underneath their desks. As for me, I do things the relatively old-fashioned way: pencil, notebook, and a leather knapsack. I do have a cell phone, but I hardly use it on a daily basis. My friends can tell you that it might take days for me to return a text. Another thing which irks me about my educational experience: the number of non-informative Power Point presentations that I have been forced to sit through. I believe that our society should redefine Power Point as “an exercise to make a twenty-minute research session on Wikipedia seem substantial enough to get a decent grade.” Although I do not consciously try to be rebellious, I try to challenge the undergraduate norm as much as I can. Those who have sat through one of my Power Points know that I go all-out: raw data, graphs, and charts. (I often include data in other languages, just for fun.) I always have two – if not more – bibliographic or sources slides. I am of the opinion that if I present on a topic, I must understand that topic to the best of my ability given the time constraints. Presentations should not be judged on someone’s willingness to stand in front of a group and sounding eloquent, but actually conveying information, ideas, and research in an efficient manner. As you can probably tell from the above paragraph, I actually enjoy reading technical articles and books. I like studying graphs and charts because I believe that one can decipher numbers to get a better understanding of a particular situation. 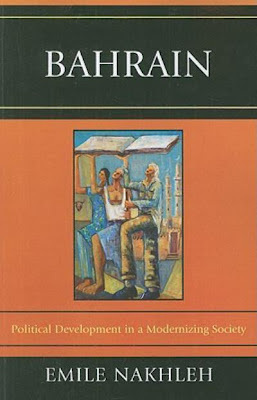 Thus, I was very excited to get my hands on Emile Nakhleh’s book, “Bahrain: Political Development in a Modernizing Society,” which features a wide assortment of graphs and charts. Although it was originally published in 1976, it was re-released in 2011. In this edition, the author includes a very interesting preface linking this book to the events of the modern day, particularly with the events of the Arab Spring, which have deeply affected Bahrain. 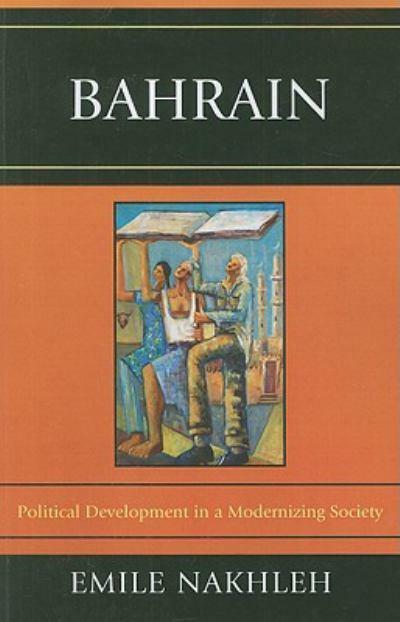 The author was the first Fulbright Scholar admitted into Bahrain. His research, which outlines the political development of this society following the creation of the country’s first constitution in 1973, was very controversial and was unable to be published in Bahrain until recently. Like the other Gulf states, Bahrain is run by a ruling family. This makes political development in Bahrain a very interesting topic, with the author equating it to a sort of modernization of tribalism. 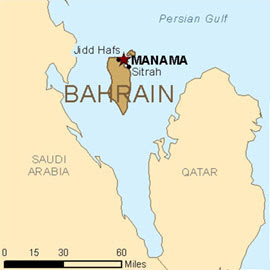 (Interestingly, religious factors do play a role in Bahrain society, as the author notes: “The relatively wealthy Sunni minority Al Khalifa family continues to rule Bahrain, a small island country in which the large Shia majority is generally excluded from power and influence.”) Like the other Gulf states, prior to the discovery of oil, pearling and agriculture were the two main industries in the country. Although oil was discovered in Bahrain in 1932, Bahrain lacks the same rich resources as its Gulf neighbors, which means that it has been forced to develop and expand in other ways.